In his new book, 'Changing India', Singh describes his life's journey as a student, economist, policymaker, and a politician and PM during the UPA government. 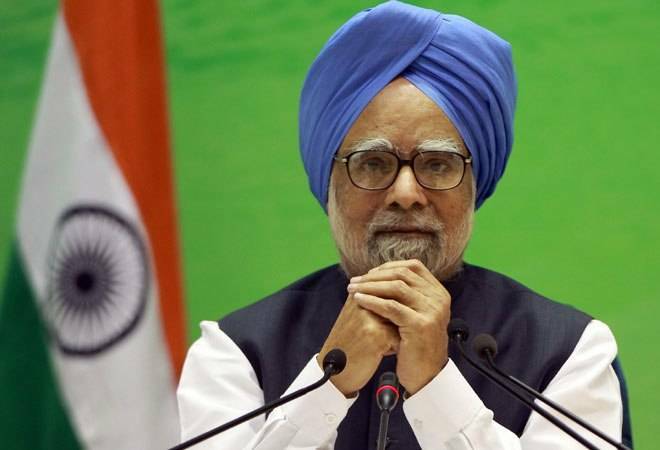 India's former prime minister, the scholarly Dr Manmohan Singh who is an alumnus of both Cambridge and Oxford Universities, on Tuesday revealed he had to repeat his matriculate (Class 10) examination in 1948. Singh said this during the launch of 'Changing India' -- a five volumes collection of his speeches and writings since 1956 -- in New Delhi. As fate would have it, Dr Singh studied Class 6-10 in Peshawar, (now in Pakistan), where his father was posted, Singh explained during the launch of the book. By the time he passed his matriculate examination in 1947, India had already been partitioned. Singh had to return to India. But Peshawar never announced the results of matriculate exam of 1947. So Singh had to repeat his matriculate in India in 1948. Singh's 'Changing India' describes his life's entire journey as a student, economist, policymaker, and a politician and PM during the UPA government. Through the book, Singh has given a detailed analysis of economic, social and political issues, including his views of the country's progress as the fastest growing country. The first volume of the Singh's Changing India is titled 'India's Export Trends and the Prospects for Self-Sustained Growth', while the second volume details his 'Thoughts on Trade and Development'. The other two volumes of the book include The International Economic Order and the Quest for Equity in Development; and Economic Reforms: 1991 and Beyond, which highlights his views on India's economic liberalisation. This was the time when Singh, as the country's finance minister, had played a key role in opening up the country for foreign investment. His fifth book, The Prime Minister Speaks, focuses on his tenure as the prime minister of the country. Manmohan Singh did his bachelor and master's degree in economics from Panjab University, then in Hoshiarpur, Punjab, in 1952 and 1954, respectively. Singh was a scholar student, and stood first throughout his academic career. He completed his Economics Tripos at University of Cambridge as he was a member of St John's College in 1957. Later in 1960, he went to the University of Oxford for the D.Phil, where he was a member of Nuffield College.